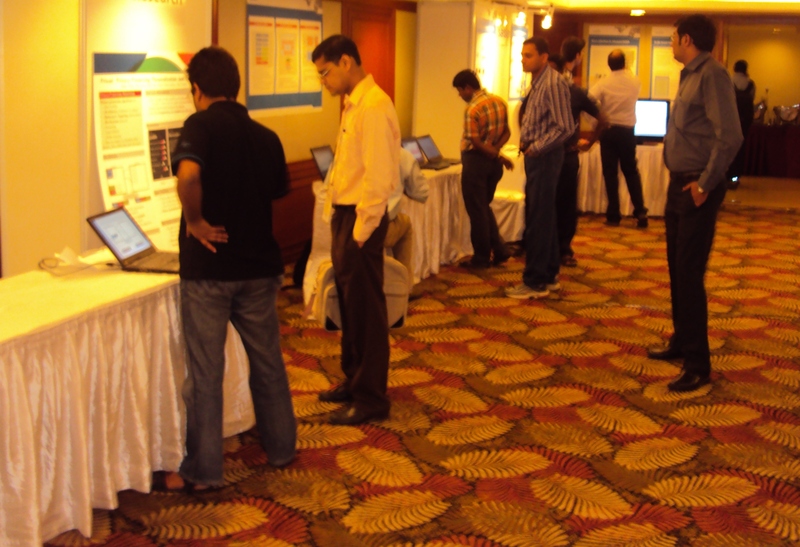 The Fourth International Conference on COMmunication Systems and NETworkS (COMSNETS) was held in Bangalore, India , from 3rd January 2012 to 7th January 2012. COMSNETS is a premier international conference to discuss developments in the Networking/ Communications Systems and Telecommunications services. The aim of the event is to provide a common platform for academia, industry and venture capitalists for discussing cutting edge researches as well as way forward for new innovative businesses and technologies. Vegayan’s SiMPLuS product suite was selected for demo at COMSNETS 2012 in the “Demos & Exhibits” category (on 5 & 6 January). 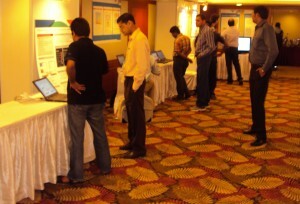 The event indeed provided a good platform to showcase Vegayan’s SiMPLuS suite to the participants. The participants (both from the academia & industry) at the SiMPLuS demo booth were quite impressed with the products’ capabilities demonstrated to them. Click here for more details on Demo & Exhibits. This entry was posted on Thursday, January 19th, 2012 at 12:40 am	and is filed under Comsnet, Event, zaid. You can follow any responses to this entry through the RSS 2.0 feed. You can leave a response, or trackback from your own site.